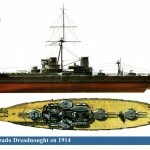 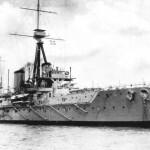 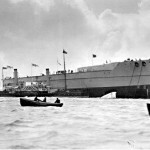 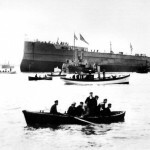 Today in Gosport’s Past:- on 1 December 1921, the revolutionary HMS Dreadnought was sold for scrap at Rosyth. 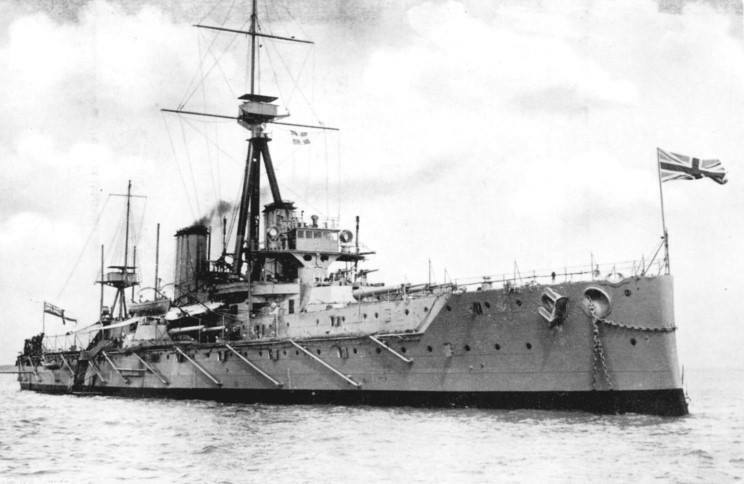 This ship was a major milestone in Warship design, with central banks of large guns instead of a mixture of large and smaller guns scattered around, and gave rise to a worldwide ‘Dreadnought’ type of warship. 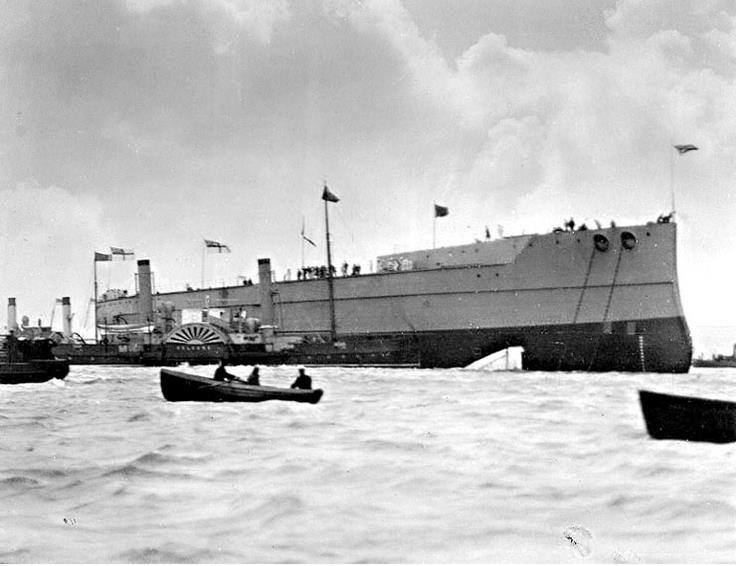 She was ordered in 1905, laid down on 2 October 1905, and launched on 10 February 1906 in Portsmouth dockyard; the ship was also the first Capital ship to be equipped with steam turbines, thus becoming the fastest battleship in the world at the time. 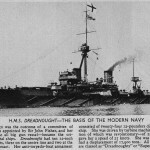 Commissioned on 2 December 1906, “Dreadnought” didn’t really get a chance to ‘strut her stuff’, as she was undergoing a refit during the crucial Battle of Jutland in 1916, the only occasion during WW1 when a British ‘Dreadnought’ actually got to fire at a German equivalent. 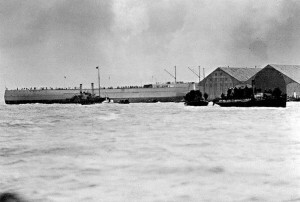 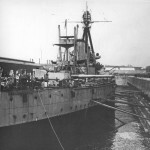 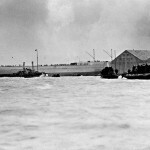 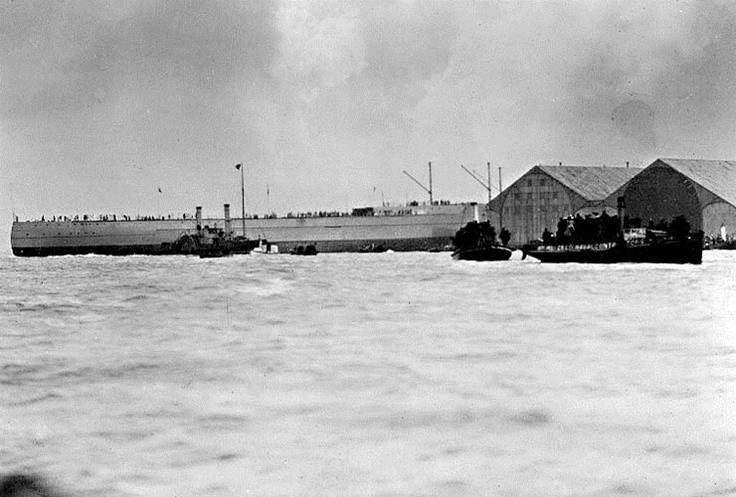 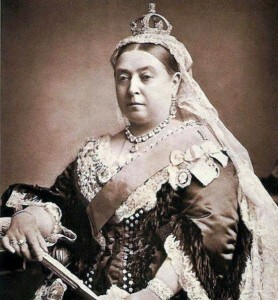 However, shed did see action in 1915, when she rammed and sunk German U-boat U29 when the sub rose to the surface after firing a torpedo at another British ‘Dreadnought’; the captain of this particular U-boat had been responsible for the sinking of British cruisers “Hogue”, “Cressy, and “Aboukir”. 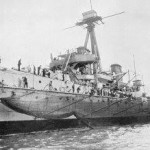 This is the only time a battleship ever sunk a submarine. Here’s some pics; credits to original photographers, as ever.